Last year at Christmas for the City, there were THIRTEEN performance spaces throughout the Benton Convention Center. We love having a wide variety of citywide performance groups from different musical and artistic genres. Thanks to everyone who has reached out to us for #CFTC2018, the schedule is full! 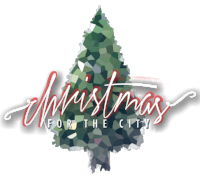 Stay tuned for Christmas for the City 2019.